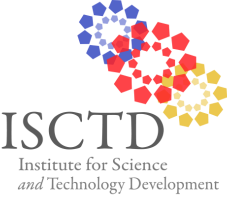 ISCTD is a non profit that provides academic support for students pursuing an advanced education in the fields of science and technology, and advises on regulatory and policy issues governing science education and research. ISCTD believes that educating students in science and technology is necessary for the continued growth and development, particularly in developing countries. Our mission is to improve the field of science and technology in developing countries and to provide a better environment for their application. Providing scholarship assistance to qualified students with a high level of academic achievement(in science and technology programs) and demonstrated financial need. Encouraging corporate sponsorship and investment in science and technology education for student leaders who will make changes to their communities. Increasing awareness of scientific research and scientific education in developing countries. Building a global initiative to increase quality, efficiency, and innovative growth in research and development by advising on ways to help develop research policies, and improve science curriculum in schools.